Come learn about what it means to be a part of a vibrant sharing community. Sharing space in a building with other mission-aligned organizations promotes collaboration, efficiency, trust, and impact. 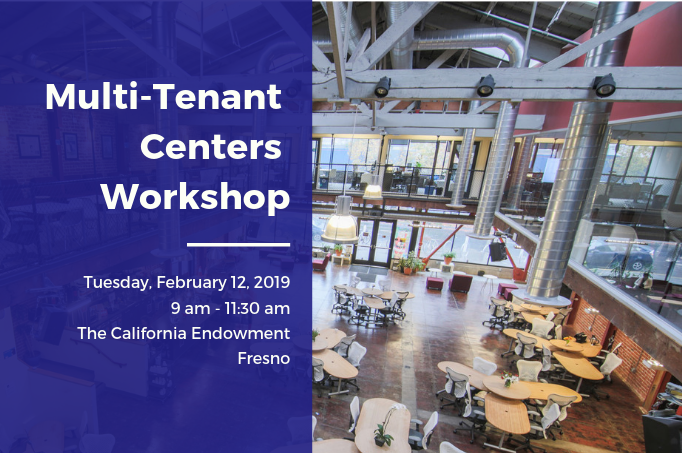 This free workshop provides examples of multi-tenant centers across the nation and how to start planning your center. This workshop is free to attend. Due to space limitations, RSVP is required. Thank you to the California Endowment for providing the space to host this workshop. Contact Kiel Lopez-Schmidt at kschmidt@ncclf.org with questions or for more information.